The Womens Camden Chukka Boot from Columbia is for urban adventures, travel or outdoor pursuits, the classic Chukka boot never goes out of style. 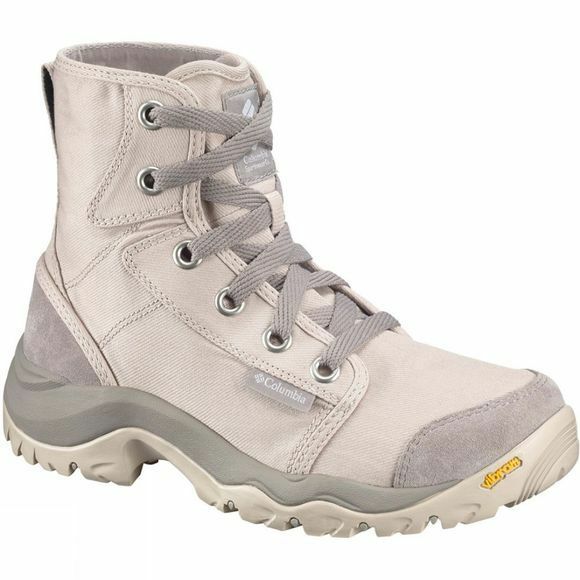 These Columbia women's boots have a soft canvas upper with metal eyelets and are styled with a suede toe cap and heel counter. The Vibram outsole delivers long-lasting traction and durability, even on unpredictable surfaces.